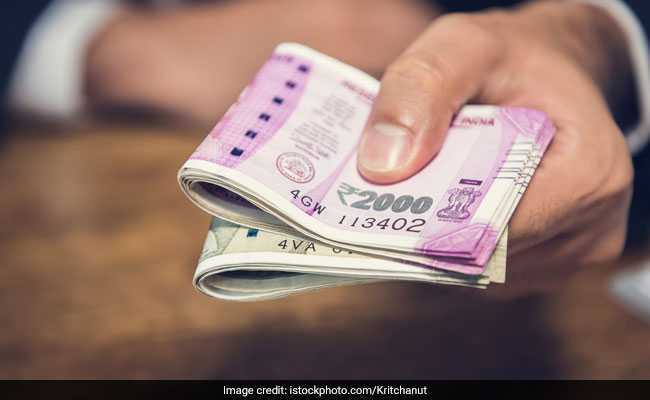 Ahead of Lok Sabha polls in Mumbai on April 29, the Election Commission (EC) has seized Rs 90 lakh cash in two separate operations in the metropolis' South Lok Sabha seat. On April 13, the investigating team of the Mumbai unit of the Income Tax department seized Rs 40 lakh from Tush Kavedia, who made a cash loan as commission in Zaveri Bazar in south Mumbai, the EC said in a statement. In the second case, the EC's flying squad seized Rs 50 lakh cash on the same day. The flying squad had inspected a red coloured Land Rover (Discovery) car (MH 01 CH 7077) in Tardeo area near the Parsi Agiary, it said. "In this, a suspected amount of Rs 50 lakh was detected from Prashant Ramesh Chandra Samadani," the statement said. The two cases are being investigated by the Income Tax department after being informed by Mumbai South Lok Sabha Returning Officer Bansi Gawli, the statement said. The Congress's Mumbai unit chief Milind Deora is pitted against sitting lawmaker Arvind Sawant of the Shiv Sena in the Mumbai South Lok Sabha seat.